In Lewis Carroll's Alice in Wonderland the concept of punishment, justice and logic constantly change. The Irish Lewis Carroll disguises his own childhood experience of independent thought, in his time of Victorian Britain in defiance of authority, with the evolution of Alice. Alice introduces herself with much concern about doing things right and proper resulting in considerable distress. Alice is tough on herself constantly at the beginning of Alice in Wonderland and also reprimands her cats in her adventure "Through the Looking Glass." "Sometimes she scolded herself so severely, as to bring tears into her eyes; and once she remembered trying to box her own ears for having cheated herself, in a game of croquet." Alice struggles to obey rules, constantly changing, trying to follow the ones she believes acceptable, while rejecting in principle, those she disagrees with. She sometimes feels overwhelmed, keeping up with ever-morphing justice, in British Occupied Ireland...ahem.. Wonderland. His headmaster James Tate, said he was ingenious in replacing ordinary inflexions of nouns and verbs in English grammar by more exact forms of his own creation, even when he read aloud from Virgil, with a more precise term of whatever appeared to him vague. Lewis Carroll's childhood character, of seeking logical solutions in obscure concepts, develops in Alice. In the last two chapters in Alice in Wonderland, Alice finds herself in a courtroom, where she does not understand the British logic and justice system, that the judge and jury employ to prosecute. Alice in political conscience, refuses to adhere to the British rules she finds unjust, despite being the only one who is in opposition. Lewis Carroll, also ignored the authoritarian form the English language, in favor of his own conclusions. Alice's experiences considerable adversity with illogical superiors, as is the case today with Marian Price, being interned without trial, by the Vice royal of British Occupied Ireland Theresa Villiers.. The individuals asserting power in British society, Lewis Carroll suggested, decide what things will mean. Their whims, and rule changes, prompted and enforced by irrational fury against people who want freedom, dictating responsibilities, duties, guilts, sins, and punishment such as political internment without trial. Lewis Carroll being victimized, corresponded to the Alices's view of grown-up farcical authority and with Marian Price's interned political conscience today. Lewis Carroll, valued highly independent thought and those with the ability to rise above the imprisoned, unjust rules of would be British superiors. 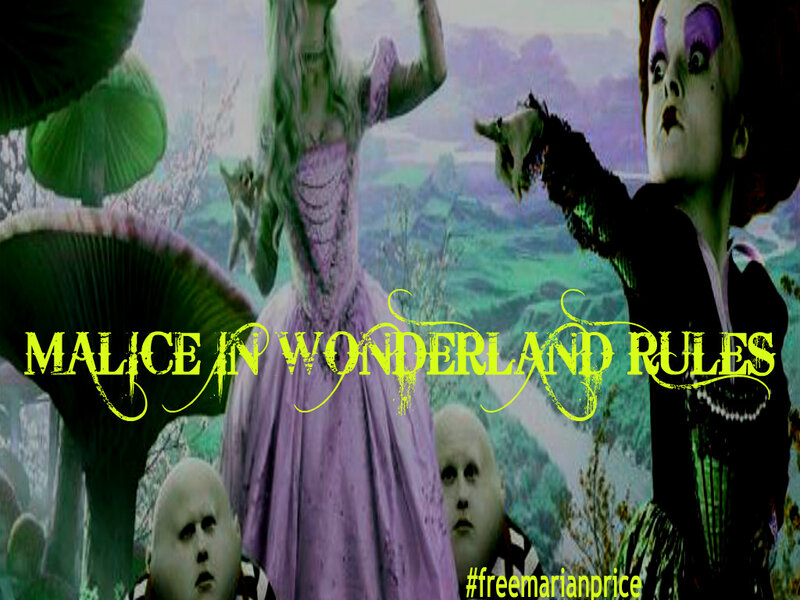 Alice in Wonderland is the evolving physical metaphor of Alice, asserting her beliefs, like the tortured Marian Price of today in British Occupied Ireland. 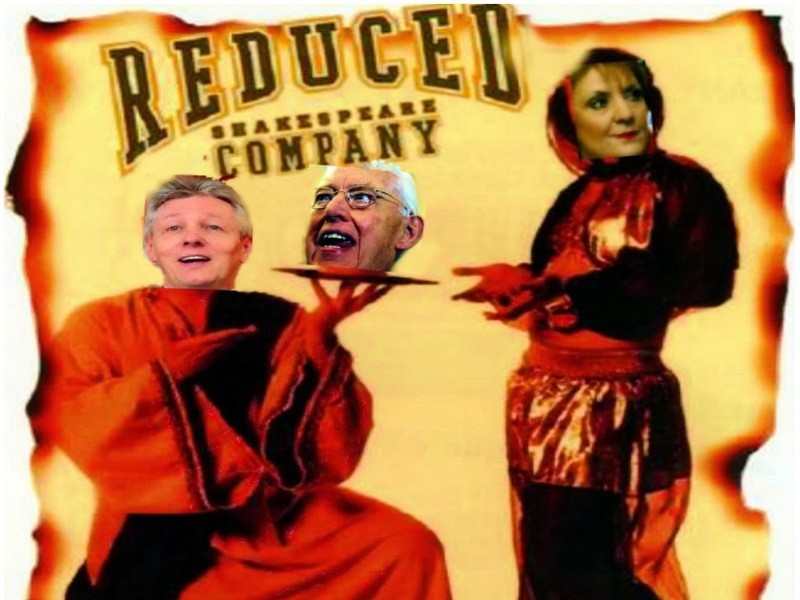 Unlike Alice who defied the queen and loudly said "Stuff and nonsense!' saying, "'Who cares for you?' as she had grown to her full size. 'You're nothing but a pack of cards!'' By being forthright and courageous with her own logic, against the queen, Alice grew in size, a metaphor of her character growth and courage.Fortunately for Alice, unlike Marian Price the queen of that time did not intern her without trial and throw away the key. Lewis Carroll unlike today's teachers, was a teacher that fostered independent thought with one of his pupils writing, "by his own real wish to know what I was thinking Mr. Dodgson compelled me to that independence of thought I had never before tried to exercise...I felt myself able in some measure to judge for myself, to select and if need be to reject." . Meanwhile Marian Price is still interned in British Occupied Ireland for almost 18 months, during which time neither her lawyers, or Marian have been allowed to see any of Britain's ‘alleged’ evidence. The second last time Marian appeared in court the charges against her were thrown out of court for lack of evidence by a Judge. Now the very same charges have been re-instated against Marian again by the very same Judge! In secret courts, being introduced secretly, by the back door, through the House of Lords, by the British secret service, secret trials will take place, with secret evidence by secret witnesses, that not even her lawyers are allowed to know or see. The length of sentence is secret and it is all kept secret with the threat of a penalty of a long jail sentence, under the official Secret's Act. Not even Lewis Carroll could dream that one up. Despite protests of defense lawyers, the secret courts will operate with virtually no rules of evidence, no discovery rules, no rules of decision and no rules regarding precedent. Not only will traditional law be in short supply, so too, will any sense, as to what interpretive practices would be followed by the 'judges' or what precedent values will exist. Thus the invocation of Lewis Carroll above, as well Kafka to the whole political/judicial system in British Occupied Ireland, demonstrating the absurd basis, of the unchecked British Vice royal regime in Ireland. British insistence on their internal logic, may amuse readers of the absurd, even as the rules they constantly re-create are illogically disjointed, in the context of the tests of history, experience and common sense. Alice‘s world is a wonderland only because, like Marian Price it is at odds with her, reader‘s, conventions of civility and expectations of basic humanity. Lewis Carroll's texts demonstrate, how an elaborate, unjust, constantly changing set of rules, that mirror the lunatic reality of a reconstituted normalcy, makes any of its keepers rationalizing it, look foolish by any standards of commonsense. one may not seek counsel, where an individual cannot have his or her day in court, where, all along one is being secretly judged, by observers with a vested interest to infer guilt, based on the reasons above an its bigoted, prejudiced, sectarian, racist, perceptions. Like Alice aspiring to overturn prevailing power relations, the value is its means, as much as its end. Through resistance, political space will open but the mere resistance, the assertion of self against state violence, is self and life-affirming. Resistance is a way of staying human. This, then, is the work that rights do, when pushed to the brink of annihilation, they provide us with a rudimentary and perhaps inadequate tool to maintain our humanity. Thus by paying particular attention to the value of human rights and arguing the importance of rights, it becomes a mode of resistance, to state violence.